TOUCH IS SENSORY, INTUITIVE, AND ENGAGING. 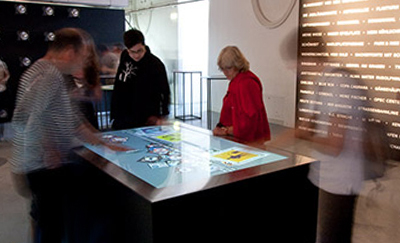 As people have become familiar with mobile devices and tablets, they want the same experience in public venues. 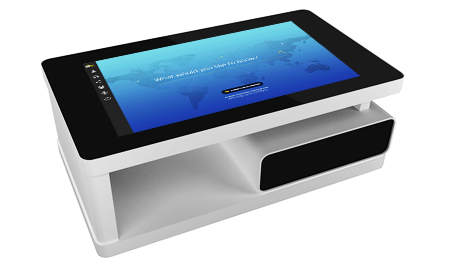 Touchscreens can greatly simplify customer interactions and transactions by providing a fast and intuitive interface for users. 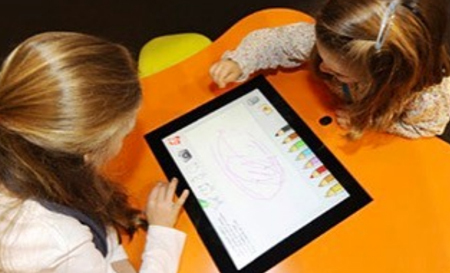 Studies have demonstrated that touch displays improve collaboration, enhance communications, and engage an audience better than traditional media. 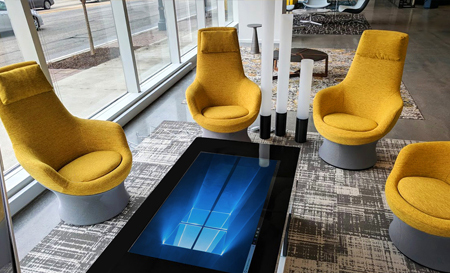 Interactive Design Café designs and builds touch tables for businesses, education, hospitality, retail, brands, and events. 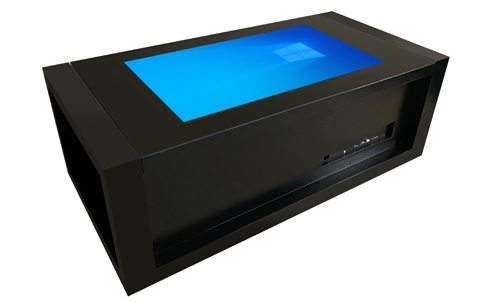 Our capacitive touch tables use high response touch glass, and are made for 24/7 use with LG and Samsung HD or 4K UHD commercial displays. 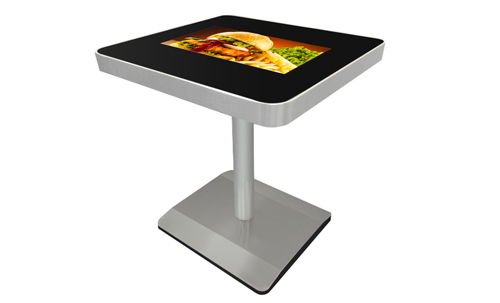 We make our tables from steel, aluminum, wood, and other processes. 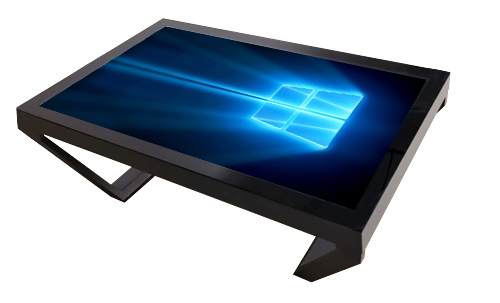 The use thick tempered/waterproof glass with powerful computers configured to your specifications. 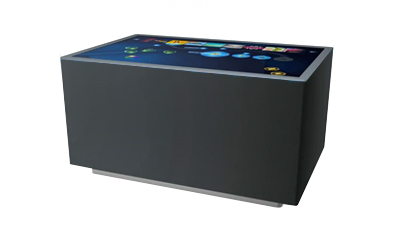 We produce touch tables in variety of shapes, colors, with LED lights and logos and can make your custom design with low MOQ. 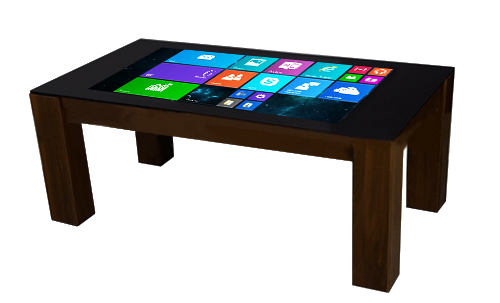 We make full size touch tables, touch coffee tables, touch restaurant table, and touch tables for children. Possible add-ons are casters, headphones, sensors, etc. We are always happy to talk through your ideas so feel free to get in touch. 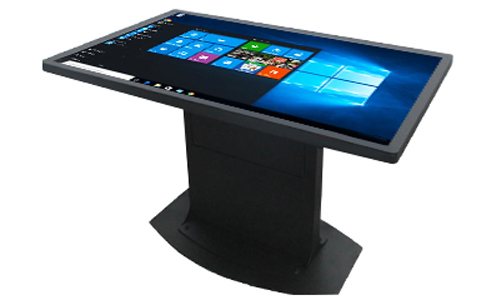 Our Multitouch Tables come with a 1 Year Warranty, and include a licensed pre-installed copy of Windows 10 OS. 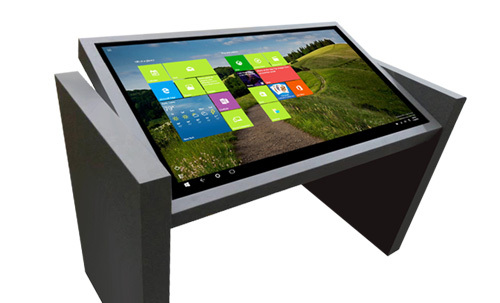 We have a large selection of designs, and can create your dream touch table with low MOQ and only 30 days manufacturing time.